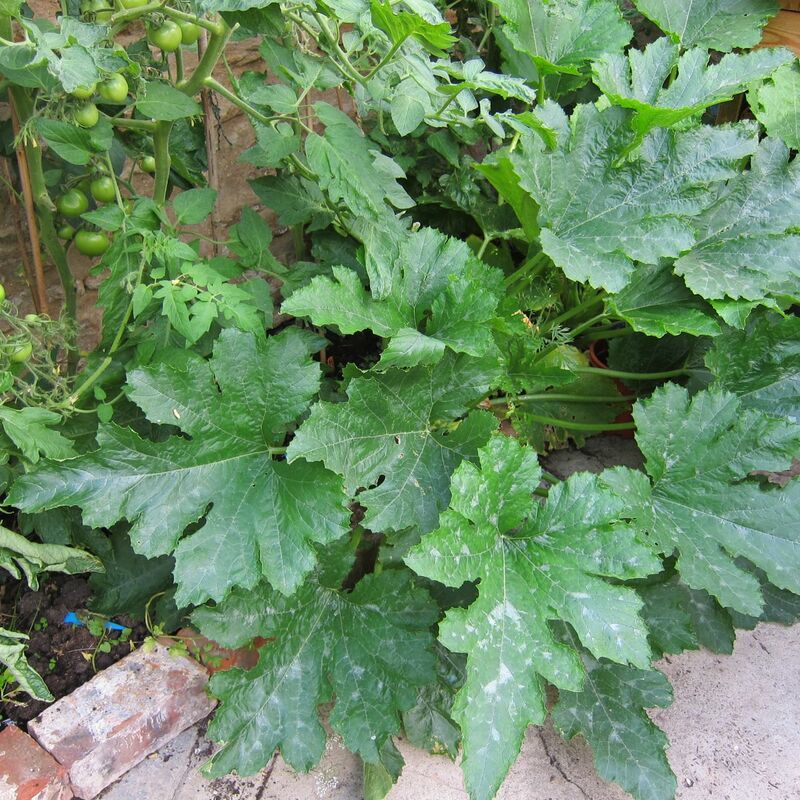 If I am entirely honest, I have to admit that vegetable growing does not give me a lot of satisfaction. I have read all the articles about the feeling of pride and satisfaction derived from harvesting a crop grown from seed, and I know all the benefits of organic food and zero food miles. Because these benefits are beyond dispute - I grow veg. But I don't enjoy it that much, and deep down I regard it as a chore. I'm not afraid of hard work, it's not that, I just don't get much pleasure from it. 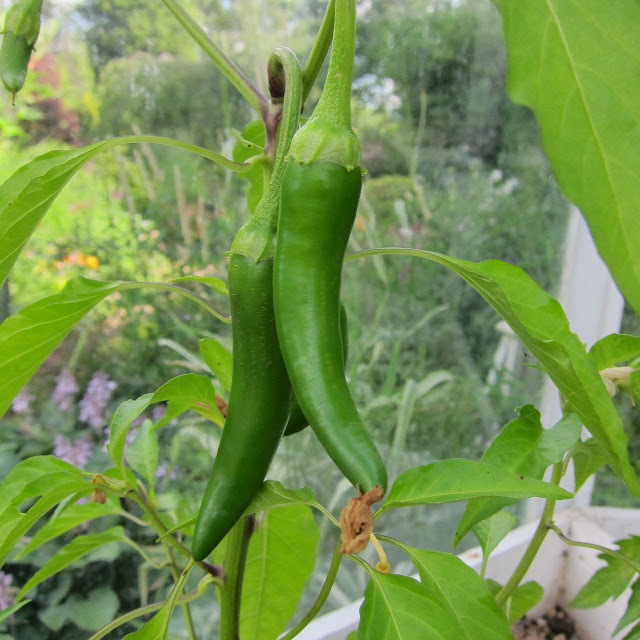 Now, I do enjoy greenhouse gardening , and love growing tomatoes, chillies, peppers, chillies and aubergines under glass. I grow them all from seed and enjoy the whole process. I even enjoy eating them when they are ready for the table ! 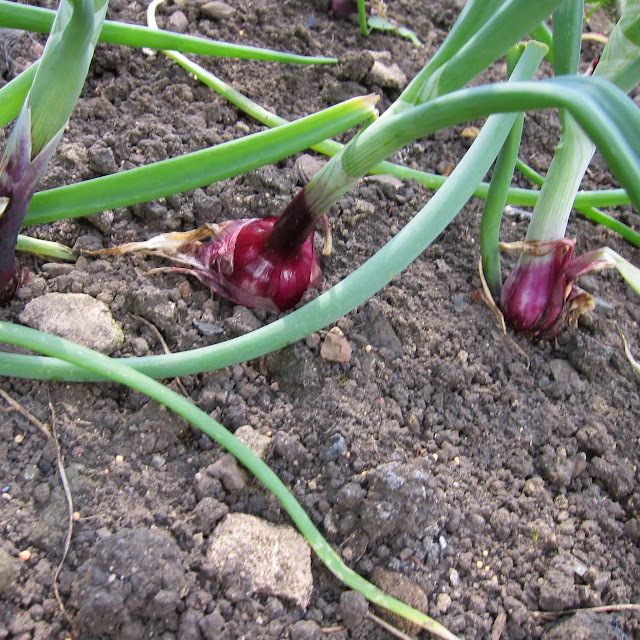 The ones I don't enjoy are potatoes, onions, beetroot - you know, the ones in little military rows ! I have tried growing them in an informal way, in amongst the flowers in the borders, but I just forget about them, and they go to waste. Good job I have a partner who does enjoy growing veg in the traditional way! Now, the fruit is a very different matter ! I can hardly wait for the raspberries and strawberries to ripen, and love to pick them when they are warmed by the sun. The blackcurrants are examined daily, when nearly ripe, and then there is an almighty race between us and the neighbourhood birds to see who gets them first ! Three years ago I planted a grapevine, and by happy coincidence, had a greenhouse built next to it ! The vine is very lucky as it will have optimum growing conditions, with its feet in the shade and its head in the warmth!! 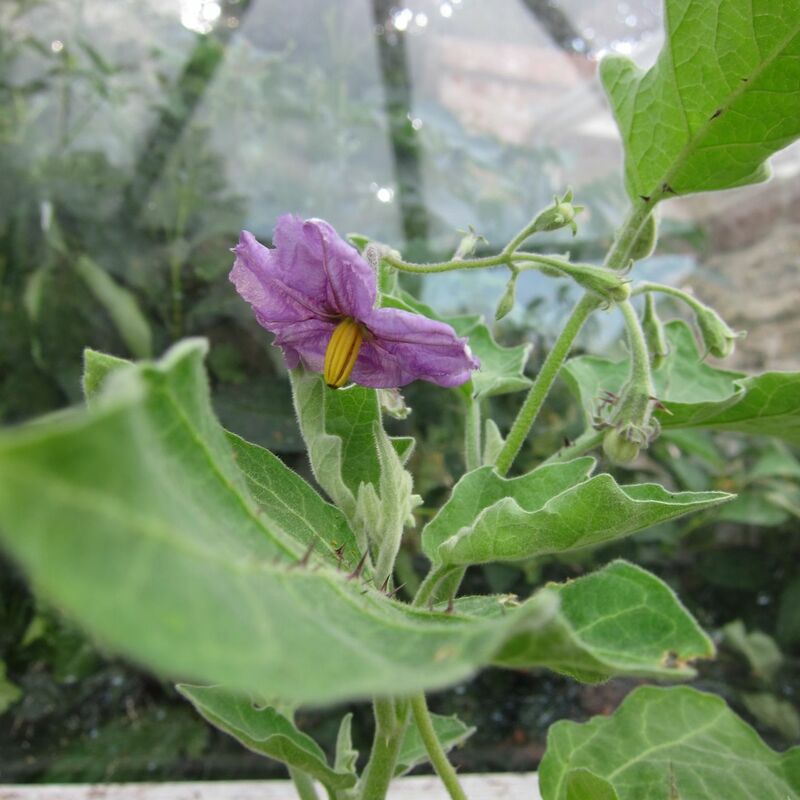 I had a hole drilled through a window frame, so that the vine can grow through into the greenhouse itself. 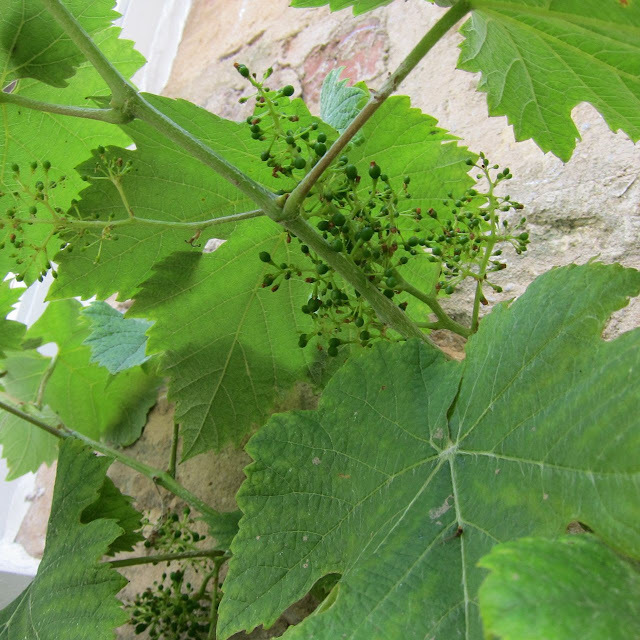 The tiny grapelets developing below will probably not ripen this summer, as they are 'outside' rather than 'inside'. 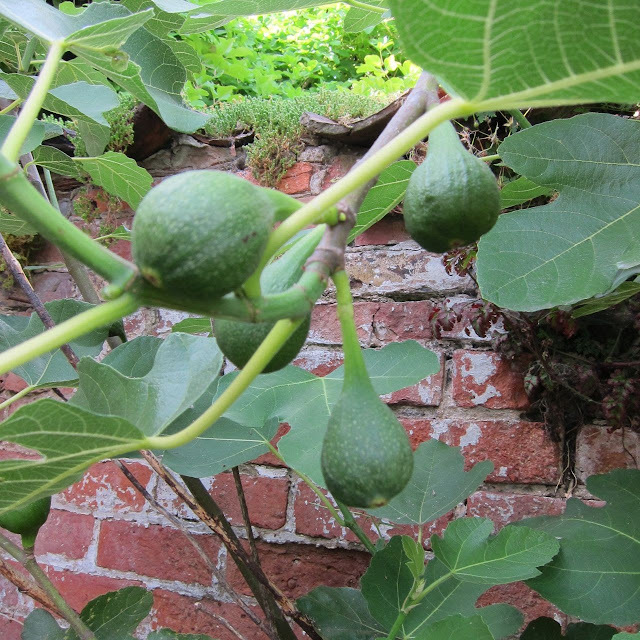 People looking round the garden are often surprised to see a fig tree in a Lincolnshire garden, but it has coped with extremely low temperatures over the last ten years or so, and faithfully produces a crop of figs every year. How lucky you are to grow stuff outside, we need to grow under glass for all the tender veg, otherwise it just wouldn't ripen fully in our usual summers. I'm not much of a vegie gardener myself. 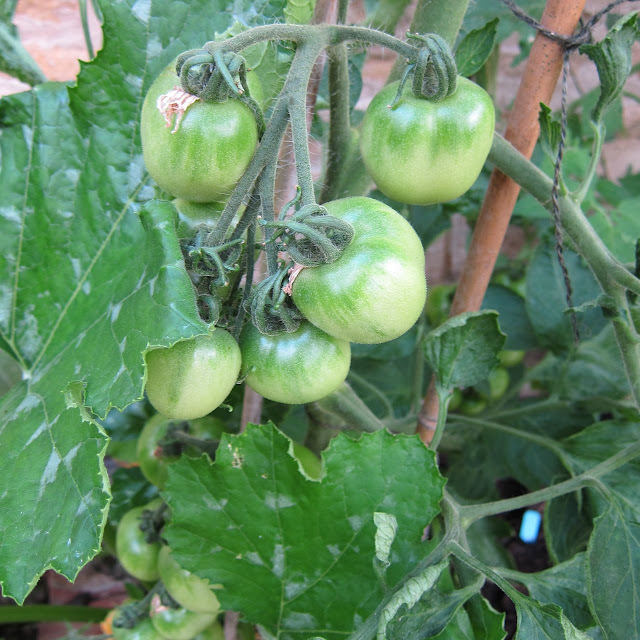 Occasionally I get the urge to grow some tomatoes or some herbs, like basil and lemongrass. The urge doesn't last long though. I'm a flower lady, and that's what I love to grow. 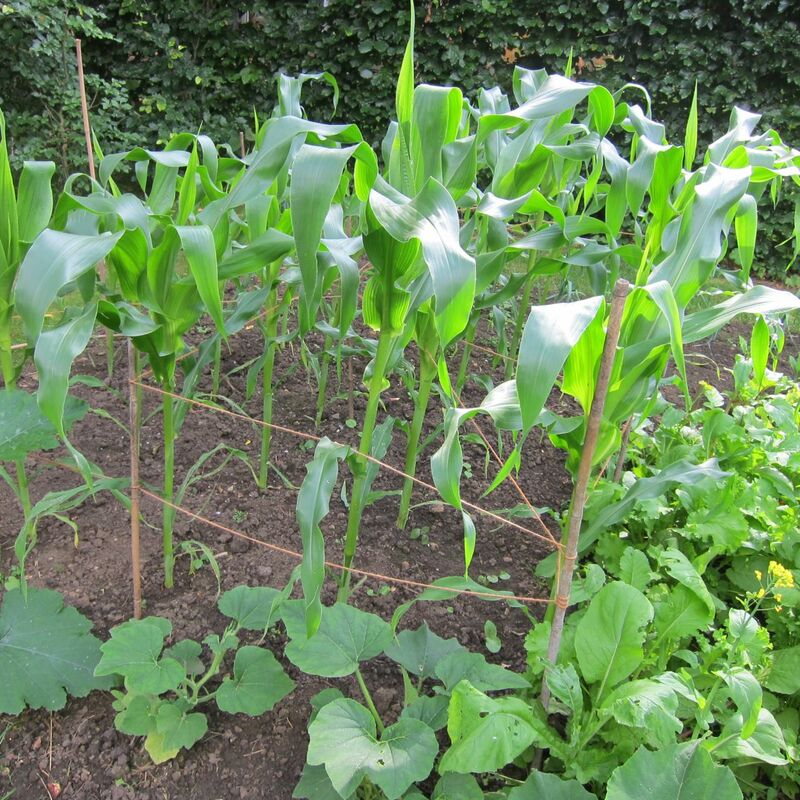 It's great that your partner like looking after the neat and tidy veg, and you enjoy the one that can grow a little more informally. That sounds like the way to go. Hi Bernie, I am the same - it is flowers and colour that do it for me ! Horses for courses and all that ! It's nice when the food is finally ready in the garden! My edible garden isn't too diverse, but is pretty simple to take care of. Been picking oodles of green beans and zucchini. Soon to have some squash on the way. Hi Nicholas, thanks for your comments and 'following'! 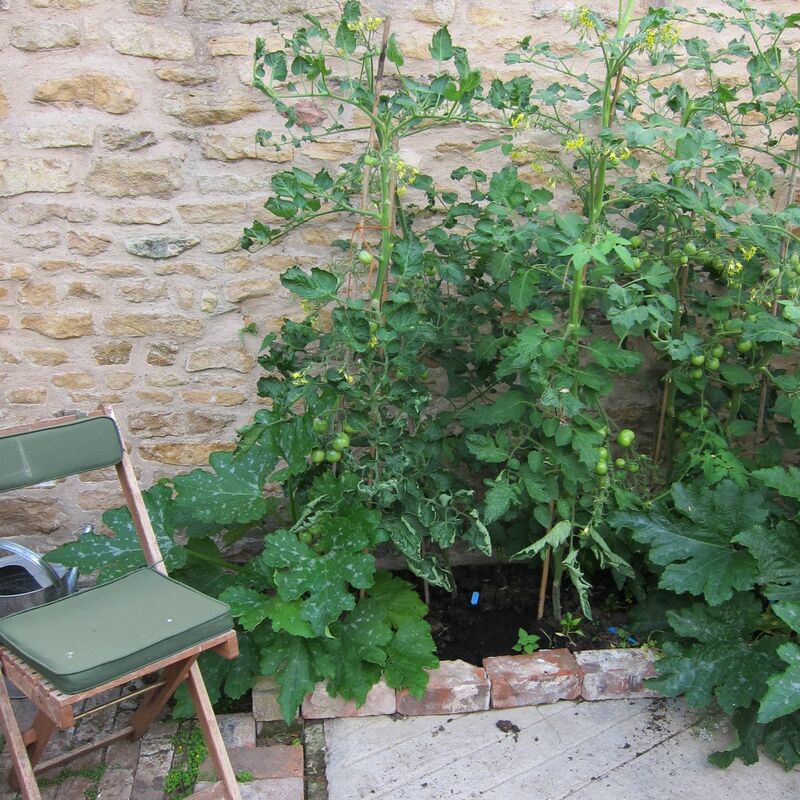 Oodles of anything sounds good to me at the moment as I have picked 2 tiny courgettes and about three meals of potatoes ! I think that is why the pleasure - factor is not the same - veg gardening is just not creative. It always feels like a bit of a chore ! And it gives more room for plants !